This week a letter will be send to most of the sons who have signed up for the Sondayz ( those who already paid won't receive one. The program is in progress and we will have an update on the hotel later this week, early next week. Those who signed up don't have to worrie all rooms are aranged. We still have room for 35 Sons. So if you haven't signed up yet we advise you not to wait too long with doing so. O.K. time is up!!!! 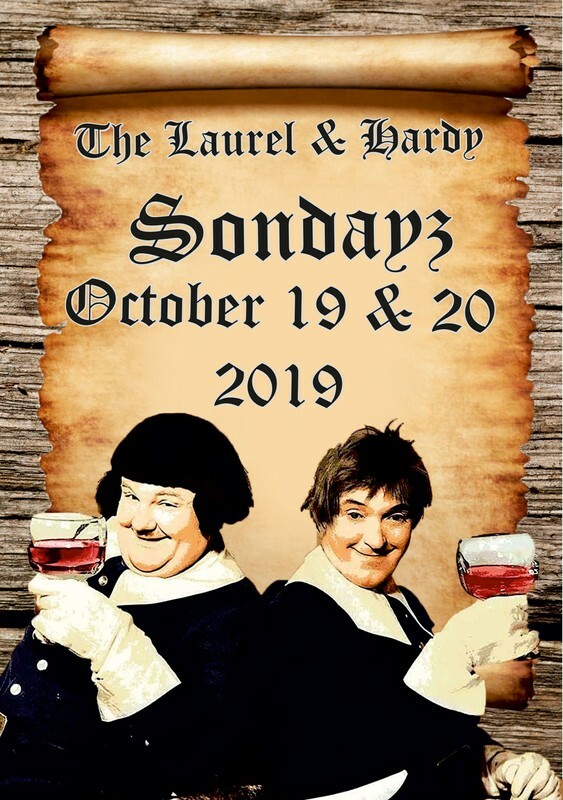 If you like to come to the Sondayz 2019 you missed the optertunity, if not registered yet, to get the discount of € 10! If you like to attempt next years Sondayz the price will be € 160 from now on. Just to lift a piece of the curtain about the event We have the wonderfull news that from Denmark the BACON GRABBERS BAND will shake your hips, move your feet and clap your hands! Also on the Sunday evening a "be" Big Band "Persi Swing Collective" with 20 top-musicians will be part of the the entertainment night! Those who have already signed up will receive a message soon about payment (how to pay by instalments) there is the opportunity to pay in 10 terms of €15. or 5 terms of € 30 or € 150 at once (this is for those who already have signed up). O.K. you missed the chance of getting your €10 discount but If you like to sign up your price will be € 160, which is still not bad for this event , and you can also pay by instalments of 8 terms of € 20 / 4 terms of € 40 or €160 at once! Just a quick note to let you know that November 1st is the last day that you will have a discount on your subscription for the Sondayz next year. Instead of € 160 you will only pay € 150 for this two dayz event. To sign up just respond to by e-mail on sondayz2019@gmail.com and we will contact you a.s.a.p. See our flyer above this page, we are still working on this, so it means more to come . In 2019 the theme will be Fra Diavolo. We have room for 110 Sons. The cost of this Sondayz event will be between € 130 and € 160 (excl hotel) The hotel will be around € 53 for a single room per night, for a doubleroom € 58 per night if the prices stay the same like this year. Next week we will open registration for Sondayz 2019. Those who sign up for the Sondayz before November 1st will get a € 10 discount and an extra limited item in their goodiebag. Payment can be done in parts so you won't have to spend all that money at once , so those with a small wallet can have a chance to come as well. Seventeen months to go and it is possible to pay € 10 a month ( this Sondayz excl hotel and if signed up before November the 1st you will get €10 discount as well! More info will follow soon. 11:30 pm-Gathering at the Tulip Inn Hotel for registration and goodie bags - Departure to downtown city centre (short 5-minute walk). 12:00 pm-Group is divided into clubs to explore the old town, such as climbing the church tower, walking through the ancient sewer system, visit the Gevangenpoort and the House of the Marquis "Markiezenhof". 12:30 pm-Lunch at the Stads Burger (consisting of: Bruschette/Italian mini burger/Italian Pomodori soup/Vitello Tonnato/Caprese Salad/Drink (soft drinks, coffee, tea, beer) "custom menu for Vegetarians"
1:30 pm -Continueing where exploring old town. 3:30 pm free time spent in the city centre. 5:30 pm Gathering and departure from the town square to Block stalls. 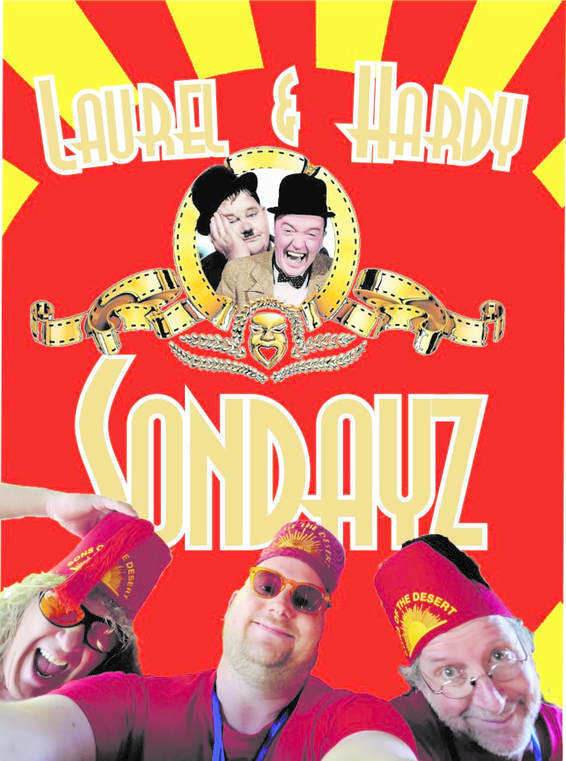 5:45 pm SONDAYZ Evening program with Buffet Sons entertainment, movie show, Bar Talks and live gig Bacon Grabbers Band from Denmark. 00:30 A.M. End of program Bar Talks, transportation to hotel arranged. 11:00 A.M. Gathering at Hotel Tulip Inn. You will be transported to the forest for the Laurel & Hardy Olympics and can enjoy an Italian picnic there! 3:00 pm Wrong again "movie Show"
4:20 pm One Good Turn deserves another-Cu-CU of the Year-and L&H Olympics Award ceremony. 8:00 pm Gig Perse Swing Collective "Big Band" Best of sons Entertainment, raffle with brilliant collectors prizes + much more! "There will be regular snacks served" At the end of the evening you will receive a paper cone fries when you leave, if you still have room after all the food and drinks of this day! 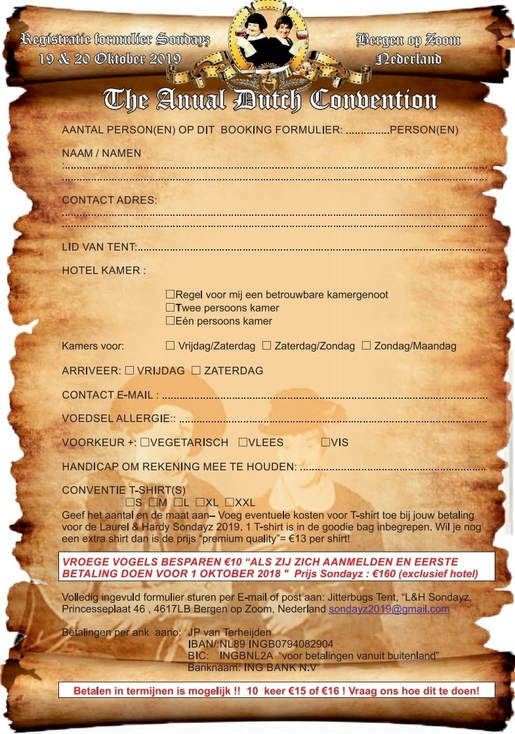 Participation for 1 day costs €85,-for the weekend €160. 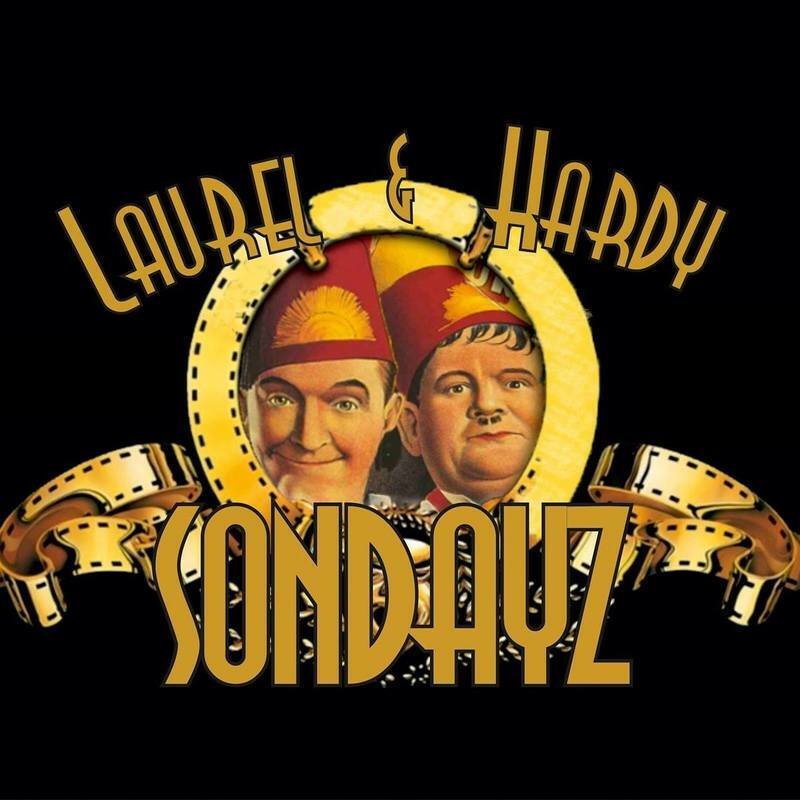 Weekend participants receive a XL goodie bag with nice L&H items including SONDAYZ 2019 T-shirt and 5 drinking vouchers for Saturday evening (drinking vouchers included in package Saturday participants) Further all meals included in the price. Buy a T-shirt separately €12 (discounted price-NORMAL €17,50! €160/1 day €85 PAY BEFOR SEPTEMBER 1st, 2019! "Price excluding Hotel" We'll book a room for you at the Tulip inn if wanted / needed ( double room €58 per night / single room €54 per night. Click on the registration form below to download it.